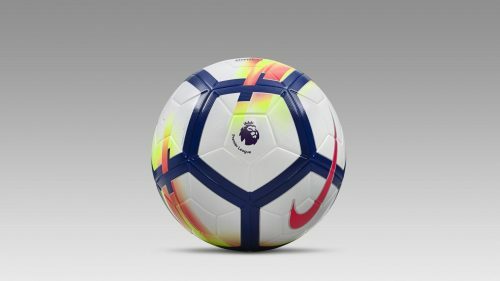 This is The Ordem V, the official ball for the 2017-18 season of Premier League. This ball is featured with flashes of vibrant orange and yellow colours. The Ordem V’s “distorted motion graphic” was designed to help players better spot the ball and so make rapid decisions as they react to the game around them. Moreover, graphics are printed onto the surface using a 3-D ink that creates a textured feel for enhanced grip and feel.